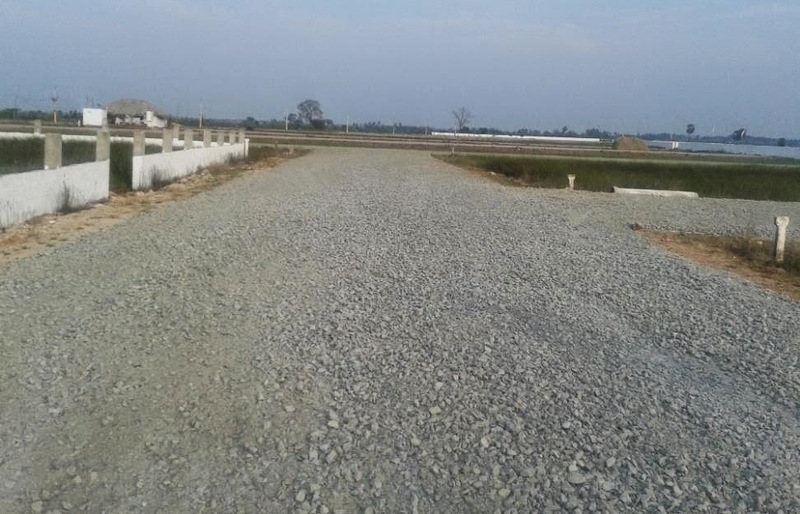 Silicon valley excellent commercial land for sale (Sq.Yrd 4,500/- Only). From vijayawada (Benz circle) to kesarapalle it is 17 kms. It is a commecial land and it is very nearer to the it park & airport. *40 feet black top roads. *80 feet main road way from kesarapalli to silicon valley. *24 x 7 security. *nearly 3 kms distance from (Airport,It park,Best price,Schools, Colleges,Hospitals). Green globe excellent investment land. Green globe is in kambhampadu (Near to mylavaram)from vijayawada 60 kms distance. 1)every year rs 4000/- Will be refunded to the customers till 5 years from registration date. (Total rs 19,000 in 5 years ). 2)there is full of mango tress.We will sale the magoes in the market and we will give the amount refund to the customers. 3)after 5 years the land cost will be double if not u can sale the land for us and we will pay double amount. 1.the Project is flawlessly found on the Nidamanuru only 3 minutes drive from Nidamanuru Flyover Highway road,spread over sqft of land.the Project contain condo of 2 room just. 2.the venture is exceptionally shut to Walmart,hospitals,function lobbies venues, and real universal school like Delhi Public School.and 10 minutes to Gannavaram Airport. Very near to National Highway at Kankipadu. 8 engineering and 4 medical colleges. In this project open plot are available. It is just 700 ft from nh-5. 4600 per sqyd out rate (Spot payment). 5000 per sqyd 1 year installment. 5300 per sqyd 2 year installment. 5600 per sqyd 3 year installment. We have different sizes of plots are available. About Company: Houses, Flats and open plots sale. • Close to Nissan, Volkswagen,Hundia, Ford, Mitsubishi, Toyata, Skoda, Benz& Truck Showrooms. • Close to Engineering Colleges like SRK,DJR USHA RAMA & Saroja Institute of Technology. • Corporate Schools like Delhi Public school. KKR’s Gowtham, Chaitanya Techno School,st.Johns. • Near to Govt.of India prestiages University School Planning & Architecture.